It all started with Sting, this fad for owning one’s very own patch of tropical rainforest, though it is probably unfair to blame him entirely for creating the boom industry that buying up forests piecemeal has become. It is 20 years since the musician first set foot in Brazil and pledged to fight the cause of the Yanomami Indians, setting up the Rainforest Foundation to protect forests and their indigenous inhabitants. Today, protecting forests has acquired a more international purpose. Climate change, rather than assuring the livelihoods of local people, has become the issue. Celebrities and politicians, and many others just in search of a quick buck, are falling over each other to advocate plant-a-tree conservationism as a salve to global warming. Sienna Miller, Tony Blair, Josh Hartnett, Desmond Tutu and Prince Charles all endorse Global Cool, an initiative that encourages individuals to reduce their carbon emissions by, among other things, buying a “tonne of cool”. David Cameron has proudly owned up to offsetting any flights he takes by making a donation to Climate Care, which calculates the cost of the carbon your flight has pumped out and does good stuff, like planting trees, to right the wrong. Sir David Attenborough is a patron of the World Land Trust, which is currently offering to “save a whole acre in perpetuity”, for just £50. However, critics say that there can be no ultimate guarantee of the future of any piece of land. The wealthy financier Johan Eliasch, who advises Gordon Brown on deforestation and green energy, provoked the ire of the Brazilian government with his purchase, in 2006, of 400,000 acres of Amazon rainforest. 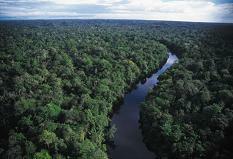 “The Amazon is not for sale,” said the Brazilian President, Lula da Silva. Eliasch then joined forces with Frank Field MP, and launched a grand tree-buying plan called Cool Earth late last year. Cool Earth stresses that it “leases” rather than buys land, to keep it safe from eager logging companies. Its website explains that saving one acre of endangered rainforest keeps 260 tonnes of carbon safely “locked up” within the forest itself, unable to escape and pollute the atmosphere. Whoever owns the land or the trees, this method of “capturing” or “locking” carbon into forests is not going to have the knock-on effect of saving the planet. Cool Earth does not claim explicitly to be in the offsetting game, but the carbon that it claims can be “locked up” in one acre of forest would offset 30 round-trips to Rio de Janeiro, say. For the environmental groups Greenpeace and Friends of the Earth, this forestry offsetting craze is acting as a smokescreen, and detracting from real solutions to escalating emissions. Offsetting is popular because it makes people feel much better about taking long-haul flights or driving gas-guzzling vehicles. “They are being misled,” says Oakley. “Most carbon offsetting companies are making a killing.” Climate Care, the company David Cameron pays his green-guilt tax to, has recently been bought by the investment bank J P Morgan. In the credit-crunch climate, any new acquisitions are thought through very carefully, and only the most watertight pass muster. This move suggests that carbon offsetting is currently considered one of the most risk-free industries around. Very few not-for-profit offsetting companies exist. Myclimate is one, and only uses “Gold Standard” offsets, a strict set of criteria for measuring where the money is going, drawn up by a number of international campaigning organisations. Since last year’s conference in Bali to discuss how to take climate-change proposals past the Kyoto Protocol agreement, the Environment Secretary Hilary Benn has been working on a certification system to keep carbon cowboys out of the market. Redd – reduced emissions from deforestation and degradation – is the UN’s proposed trading mechanism, which aims to pay countries not to cut down their forests. “Turning the forest into just another commodity is not going to protect the climate or the lives of the people who live there,” says Kronick. Surprisingly, perhaps, Greenpeace is in favour of extracting value from forests in other ways, such as the deal that was recently hammered out between Guyana and Canopy Capital, a group of British financiers to protect the Iwokrama Forest last week. The Independent first reported a plea from the Guyanan President, Bharrat Jagdeo, last November, to structure exactly this type of deal for all of Guyana’s forests. This sort of deal is in its infancy. It is described by climate-change specialists as “avoided deforestation”, and similar projects should be rolled out in the next phase of the Kyoto Protocol. Other countries are already envious of Guyana’s pioneering deal. Indonesia, Brazil, Papua New Guinea and the Democratic Republic of Congo would all benefit massively from similar arrangements. Despite the potential quagmires over forest ownership, Greenpeace is in favour, because safe-guarding a forest, as well as ensuring the livelihoods of its inhabitants, has a real effect on climate change. “It is like sticking a cork in an industrial process,” says Kronick. “It is taking one of the sources of climate change – deforestation accounts for up to 30 per cent of total carbon emissions in the atmosphere – and removing it. Don’t forget that conserving forests (as long as they’re not ring-fenced and the local people pushed out) is a good thing, and lots of organisations who have jumped on the offsetting bandwagon started out in straightforward conservation. The Woodland Trust estimates that, for a £2.75 monthly membership fee, it can “protect and care for” half an acre of native woodland. They won’t sell you areas of woodland, but you can have spaces dedicated to a loved one. As there is no major problem with deforestation in the UK, this saves ancient woodland, but it won’t stop climate change. You could still pay for offsets, but check you are giving your money to a not-for-profit organisation that is selling Gold Standard carbon offsets, such as myclimate. Don’t expect your money to save trees; most of the Gold Standard projects involve switching communities from fossil fuel to other types of power.